Wilson Communications was founded in the early 1900's as Wilson Telephone Company. 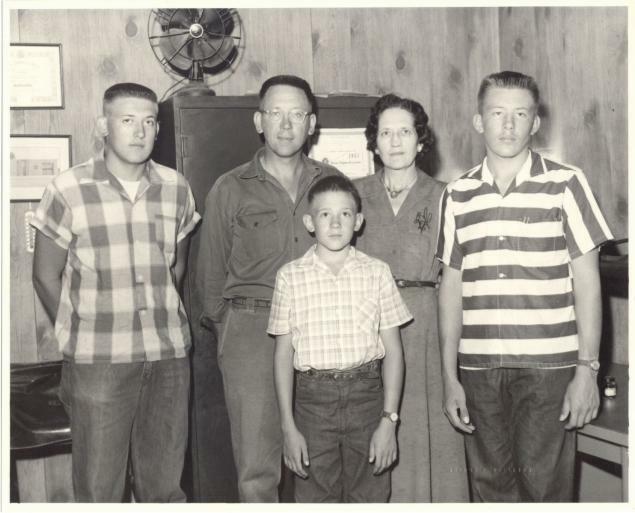 In 1943 Paul and Helen Grauer purchased one-third of the company and moved to Wilson, KS. Over the next few years, Paul and Helen purchased the remainder of the company from Fred Cross. Over the next several years exchanges were added to the company until it finally provided local telephone service to the communities of Wilson, Lucas, Sylvan Grove, Hunter, Denmark, Tipton, and Brookville. Under the leadership of Paul Grauer, Wilson Telephone Company became a family owned and operated business with an additional staff of 10 employees. Wilson Communications has always been focused on providing the best service possible to the customers it serves and maintains a commitment to provide the most up-to-date services available. The company, its owners and all of its employees continue to remain committed to those tasks today. Over the years every member of the Grauer family has worked at the company in some capacity. Following Paul and Helen's deaths, the family has retained and continued to operate the company. Currently, Robert and Eva Grauer as well as their son Scott Grauer are the owners of the company. Currently Local Telephone Service, Broadband, and Long Distance are available to all Wilson Communications' customers. Cable Television is offered in five of our seven exchanges. Wilson Communications remains committed to providing the best service possible while maintaining a local presence. Wilson Communications has an immediate opening for an IT Administrator. This position is located in Wilson KS. The primary duties of this position include: System administration engineering, provisioning, maintenance and support; Network administration, provisioning and support of interrelated networks for voice, video and data service offerings; and maintaining server based networks. Other responsibilities may include: hardware/software upgrades or replacements, network wiring, and responding to various company and customer needs. Technical repair skills; efficient knowledge of routers, switches and firewalls; and effective communication and interpersonal skills are required along with the ability to manage multiple tasks in a team-oriented environment. Please send a cover letter and resume to: Wilson Communications, Attn Human Resources, PO Box 190, Wilson KS 67490-0190; drop it by the office at 2504 Avenue D in Wilson; or email to mary@wilsoncommunications.co. Wilson Communications offers competitive compensation, excellent benefits and is an equal opportunity employer. There are currently no positions open at this time. It is the policy of Wilson Telephone Company, Inc. to provide for equal employment opportunity in employment, compensation and other terms and conditions of employment without discrimination on the basis of age, race, religion, color, national origin, gender or disability. Employment objectives of the company are to obtain individuals qualified for the position by virtue of job-related standards of education, training, experience, and personal qualifications. Wilson Telephone Company, Inc. offers competitive compensation and excellent benefits. Copyright © 2019 Wilson Communications.